Ramnath Developers Pvt limited is in need of Civil Engineering Fresher Graduates to work with them as Site Engineers on various Township Projects. Educational Qualification: The candidate must have completed his/ her BE/ btech degreefrom Civil Engineering branch from an AICTE and Government of India recognized institution. Diploma candidates are also eligible. Posted in Civil, Freshers, Job After Btech, Without Experience. Tags: August 2011, Civil Engineer, Freshers Civil, Gwalior, Ramnath Group, Site Engineer on August 31, 2011 by Neeraj. Educational Qualification : The candidates must be an Engineering graduate freshers having B.Tech/B.E. candidates as Computer/ IT as Branch/ Stream. Posted in Computer Science, Freshers, IT. Tags: August 2011, Bangalore Jobs, Freshers 2011 vacancy, Service Engineer, Teamware Solutions on August 29, 2011 by Neeraj. Allahabad High Court | Govt. Jobs | August 2011 | System Officer Vacancy | Last Date: 10 September, 2011. 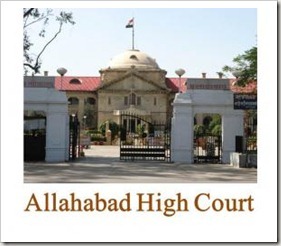 BE/ BTECH (Computer Science/ IT) required in Allahabad High Court. By the Indian High Courts Act passed by British Parliament in 1861, provision was made, not only for the replacement of the Supreme Courts of Calcutta, Madras and Bombay and for the establishment of High Courts in their places, but for the establishment of a High Court by Letters Patent in any other part of Her Majesty’s territories not already included in the jurisdiction of another High Court. In the year 1866, the High Court of Judicature for the North-Western Provinces came into existence at Agra under Letters Patent of the 17th March, 1866, replacing the old Sudder Diwanny Adawlat. Sir Walter Morgan, Barrister-at-Law and Mr. Simpson were appointed the first Chief Justice and the first Registrar respectively of High Court of North-Western Provinces. 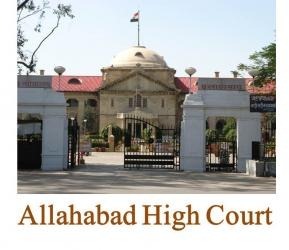 The seat of the High Court for the North-Western Provinces was shifted from Agra to Allahabad in 1869 and its designation was altered to ‘the High Court of Judicature at Allahabad’ by a supplementary Letters patent issued on March 11, 1919. Educational Background: BE/ BTECH (Computers/ IT) with 65% marks from a recognized University. Posted in Computer Science, Government Job, IT, Job After Btech. Tags: 2011., Allahabad High Court. Govt. Jobs, August 2011, Last Date: 10 September, System Officer, vacancy on August 28, 2011 by kavita joshi. HCL is hiring freshers from engineering and other graduate degrees from Computer Science Stream . Educational Qualification: The candidates must have completed their education in the year 2011 with atleast 65% aggregate marks in Class 10, 12 & Graduation, with Following degrees and subjects in order to fall into the eligibility conditions. Posted in Computer Science, Electrical and Electronics, Electronics and Communication, Electronics and Instrumentation, Freshers, IT, MCA, Off campus recruitment. Tags: August 2011, Freshers 2011 vacancy, HCL, HCL online registrations, Off Campus on August 27, 2011 by Neeraj.